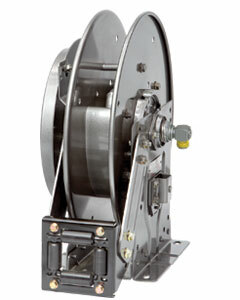 Thousands of fleet operators and railroad shops and yards demand durable, dependable reels to meet the challenging conditions of their industry – and they turn to Hannay Reels for the best equipment. The heavy-duty design and construction of our reels ensure that they outperform and outlast the competition, while increasing productivity and helping to ensure a safer workplace. 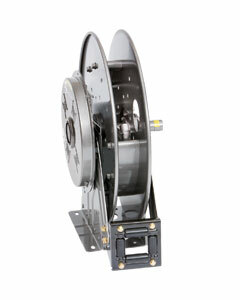 Manual or power rewind reels to handle 1-1/4" or 1-1/2" I.D. hose for DEF (Diesel Exhaust Fluid). 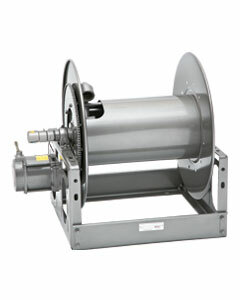 Spring rewind hose reels to handle 1/4" or 3/8" I.D. high-pressure hose. 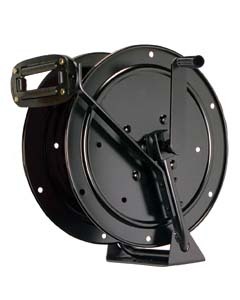 Manual (MX) or power rewind gas welding reels to handle twin 1/4" through 3/8" welding hose.